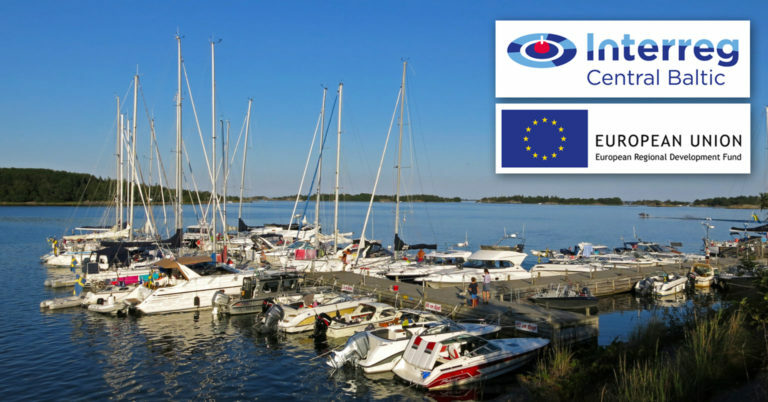 The aim of this project is to increase the standard of marinas in the Baltic Sea, renovate and modernise these harbours in an environmentally friendly way, make these harbours more cost-effective and give them a higher profile international. Fejan’s guest harbour is the Archipelago Foundation’s contribution to the project. Fejan is in the outer skerries, strategically close to the large shipping lane to Åland. It is a popular first or last harbour on the way to or from Sweden. In addition to the guest harbour, there is a hostel, cafeteria and, not least, an exiting history. In conjunction with a cholera epidemic in Europe at the end of the 19th century, the Swedish authorities confiscated an entire missionary station that was disassembled and ready to be sent to the Congo. It was erected at Fejan as a quarantine station. The buildings are still there and contribute to the place feeling like is exists in a bygone era. However, the service is not at a 19th century level. Visiting boat crews have access to a sauna, showers, toilets and a boat toilet waste disposal station. With aid of the project Smart Marina, we will be creating even more berths and equipping them with electrical hook-ups and mooring lines. The service building will be equipped with washing machines.